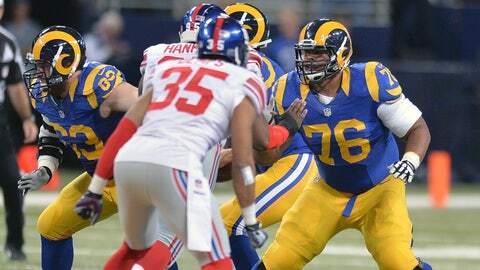 Coach Jeff Fisher said Saffold received a second opinion on his latest injury and doctors agreed surgery was necessary. The Rams (2-3) have a bye this week. Tight end Lance Kendricks underwent surgery this week for a torn ligament in his finger and Fisher said he is questionable for next weekend’s game against Cleveland. Tight end Justice Cunningham, who had been on the practice squad, was elevated to the active roster.